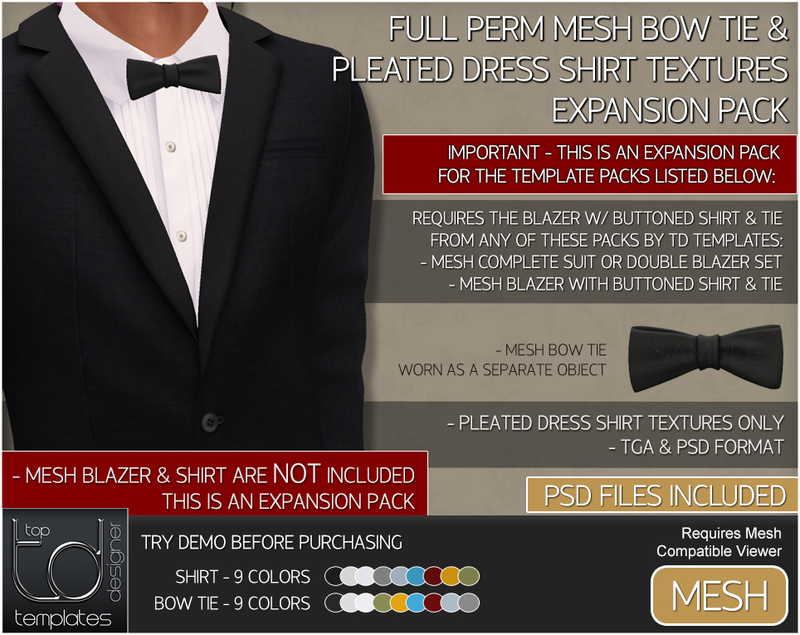 Presenting 2 New Expansion Packs for the Men’s Suit Set. 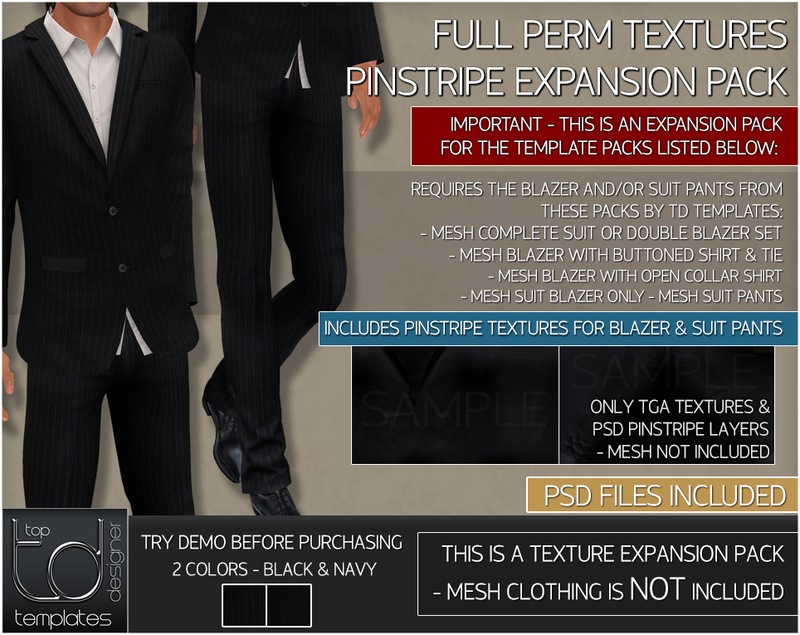 MESH Bow Tie & Pleated Dress Shirt Textures and also the Pinstripe Textures Expansion Pack. Please check the requirements on the displays and try the demos before purchasing.